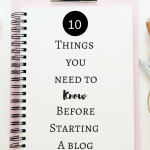 July 9, 2018 By Morgan M Woods Leave a Comment This post may contain affiliate links. 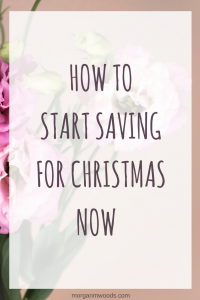 Thinking about saving for Christmas in July sounds like a crazy thought but spreading the cost over the next 5-6 months really does make it easier. It comes around at the same time every year, yet so many people still feel the pinch at Christmas time. 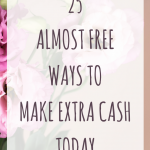 If you start putting away a bit of extra cash each month from now until December it could relieve the overwhelm. Giving yourself plenty of time to save for Christmas also means you’re less likely to put Christmas expenses on a credit card or store card. And you won’t go into January with any added debt. First of all you’ll need to decide on your Christmas budget, so you know what your goal is for December. Think about who you’ll be buying for and how much you want to spend per person. If you’re already struggling financially then maybe now is a great time to chat to family and friends about cutting down on Christmas gifts. 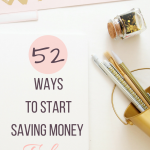 Try using this monthly budget planner so you can get your finances in order. 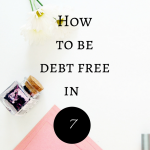 If you find you have no month left at the end of your money to put away for Christmas then check out these ideas to make some extra cash. The easiest way to start saving money is to use a tool like Plum to automatically skim your current account. Plum is a really clever tool that automatically calculates how much you can save each week and puts that money to one side. I’ve been using Plum for the last couple of months and managed to save around £60 without even noticing that it was missing. It’s no secret that I’m a huge fan of matched betting! Over the past 18 months I’ve made over £10,000 from matched betting and I still regularly make around £300-£500 every month in my spare time. 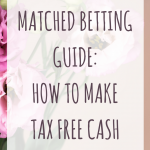 If you’ve never heard of matched betting before it’s a great way to make tax-free cash and despite the name it’s completely risk free. You can read my guide on matched betting here. Last year our Christmas was entirely paid for by surveys! I collected up my survey gift cards and cash to pay for Christmas. You could make an extra £200 every month just from surveys. This would help your Christmas savings greatly. 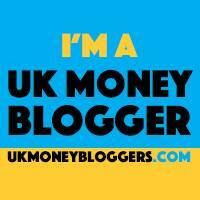 Check out this post on making £200 each month with surveys. My favourite survey sites to earn regular cash and gift cards include Pinecone Research, Branded Surveys and Prolific Academic. Getting paid to test websites is a great way to make a little extra cash if you’re really short on time. You’ll be paid £5 for each test that lasts around 10-20 mins. The tests are always really easy and all you’re often doing is speaking your opinions. You can register here and start earning £5 for each website that you test. Mystery shopping is an awesome side hustle especially if you love shopping or eating out. In the past year I’ve done several mystery shops where I get paid to have a free lunch or other meal out either by myself or with my children. You can find out all about mystery shopping in this post here. You could sell your old unwanted stuff to free up some cash. It’s a great time to sell at a carboot sale or you could start listing things on eBay. If you wanted to make some quick cash selling your old stuff then you might like to try Ziffit or Music Magpie to get an instant quote on your unwanted books, DVD’s or tech. 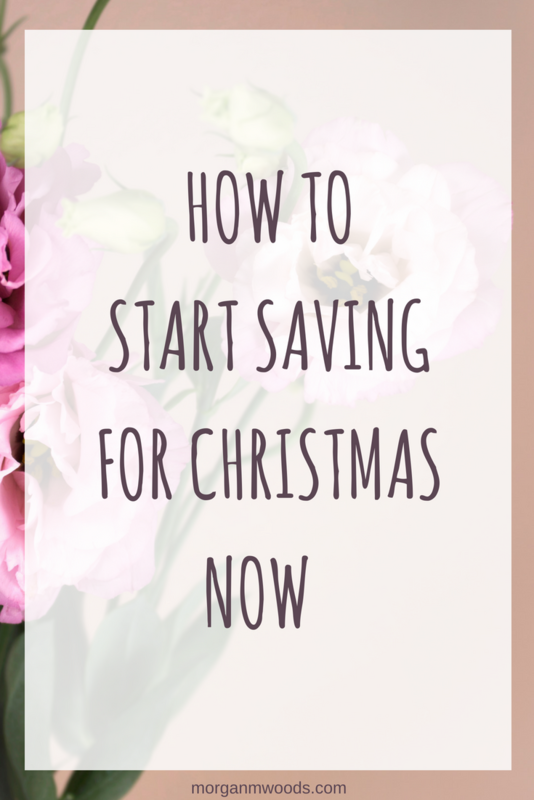 I hope these ideas will get you off to a good start for saving for Christmas. With the incentive of saving for a particular event like this. 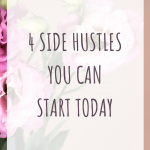 You’ll be much more likely to schedule in side hustle time to make the extra cash.